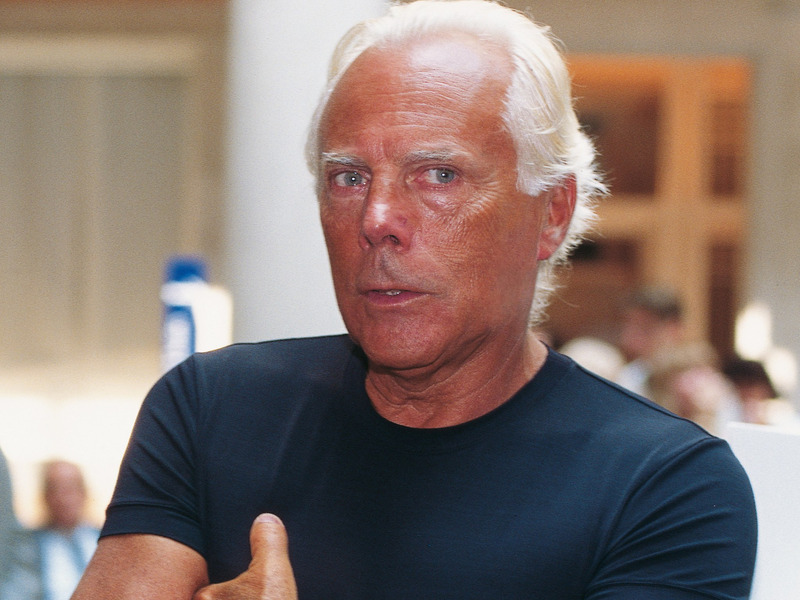 Fashion designer Giorgio Armani is worth $US5.92 billion, according to Bloomberg. 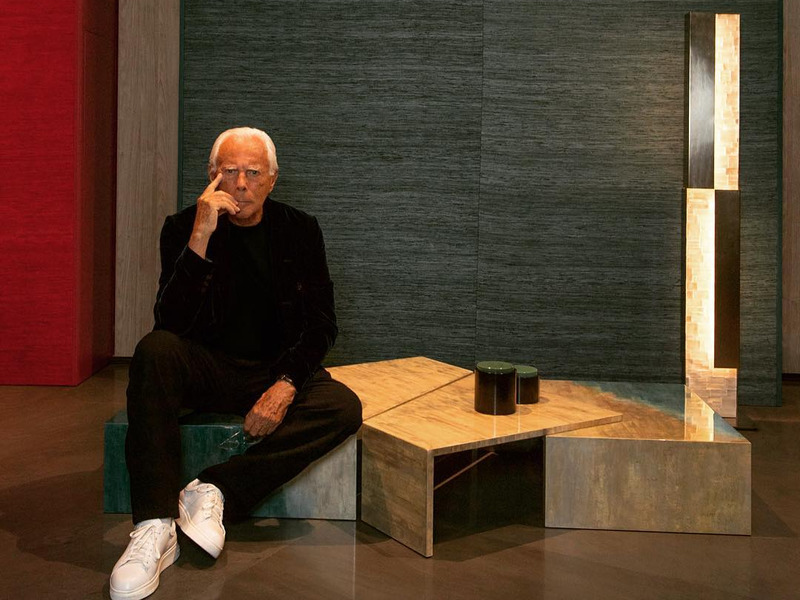 The 84-year-old has made his fortune not only in fashion, but also in accessories, perfumes, makeup, sportswear, interior design, real estate, restaurants, hotels, and even chocolate. 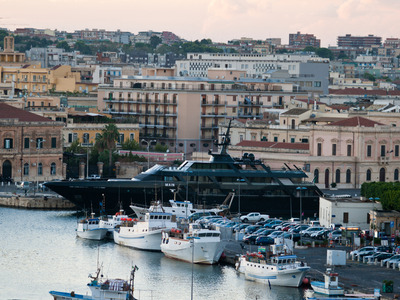 Armani owns a 213-foot luxury yacht and homes in Italy, the French Riviera, and the Caribbean island of Antigua. 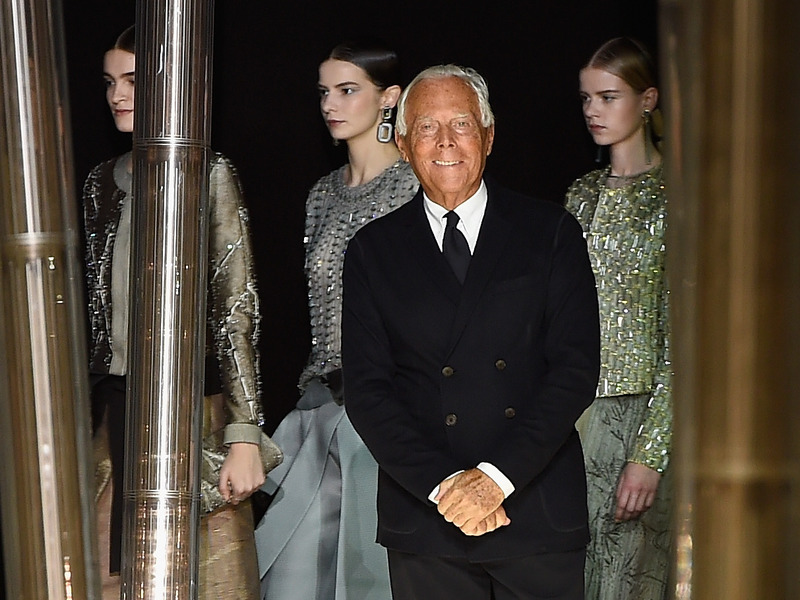 Here’s a look at how Armani makes and spends his billions. 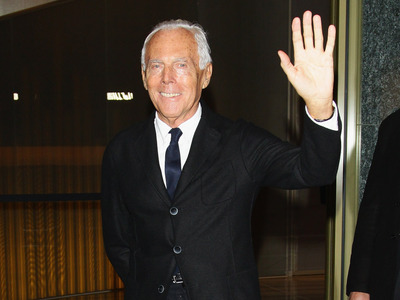 Giorgio Armani, the co-founder and sole owner of fashion house Armani, is worth $US5.92 billion, according to Bloomberg. 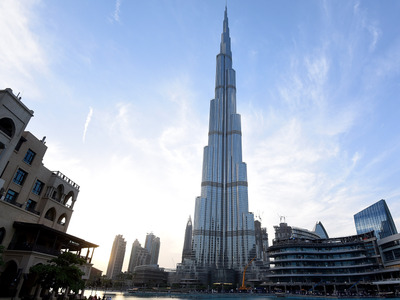 Forbes, however, estimates his fortune to be a significantly greater $US7.4 billion. 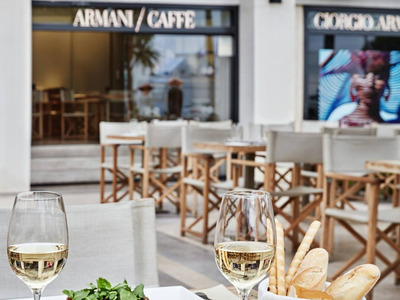 Armani’s empire spans industries that include accessories, perfume, makeup, interior design, real estate, restaurants, and hotels. The business mogul brought in $US2.7 billion in revenue in 2017, according to Bloomberg, which looked at filings with Italy’s business register. 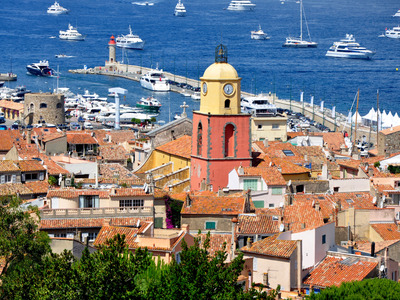 The 84-year-old spends part of his fortune on multiple private homes all over the world, from Italy to the south of France to the Caribbean island of Antigua. He also owns a 213-foot luxury superyacht. Here’s a look at what his multiple billions buys. Giorgio Armani is one of the richest people in the fashion industry, with a net worth of $US5.92 billion, according to Bloomberg. Forbes, however, estimates he’s worth $US7.4 billion. 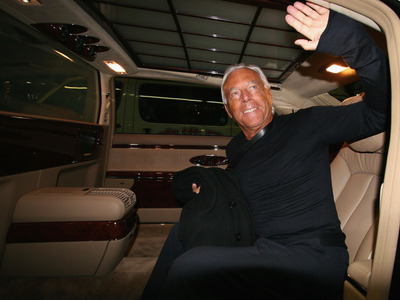 He’s the co-founder and sole owner of Italian fashion house Giorgio Armani SpA. 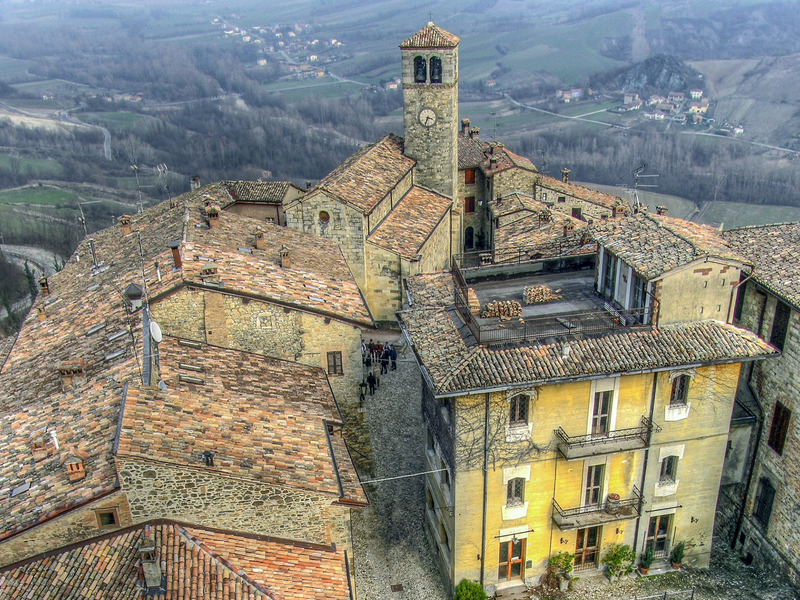 Armani was born in the northern Italian town of Piacenza in 1934 and later attended medical school at Piacenza University for two years before leaving for his military service. While on leave from the military, Armani got a job as a window dresser at Milan department store La Rinoscente, where he worked up to a buyer position, marking his first foray into fashion. 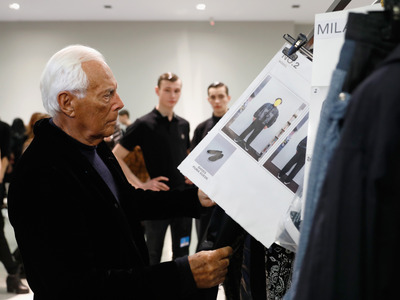 In 1965, Armani started working as a designer at fashion house Nino Cerruti, where he met Sergio Galeotti, who would later be his business partner. Getty ImagesArmani backstage ahead of a fashion show in Milan in January 2017. Armani started Giorgio Armani SpA. 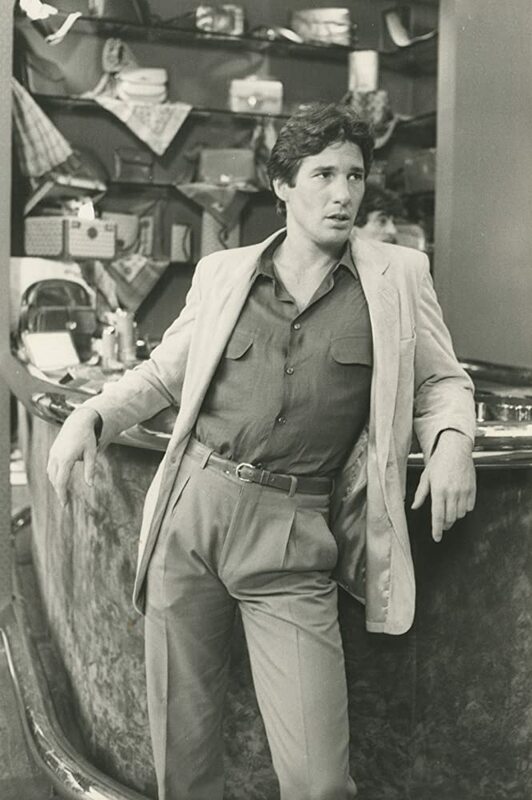 with Galeotti in 1975, with Galeotti handling the business aspects and Armani focusing on the creative side. 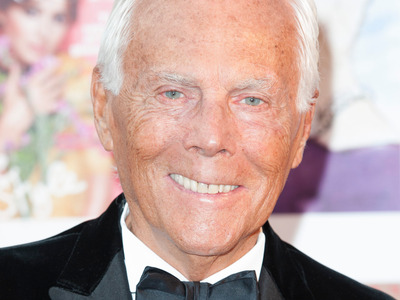 Armani was in his 40s at the time. 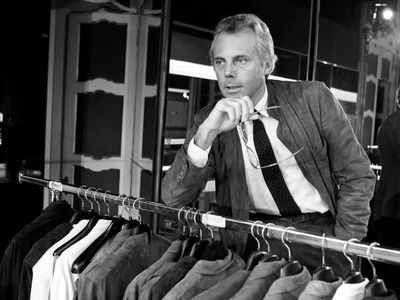 Getty ImagesGiorgio Armani in the 1970s. 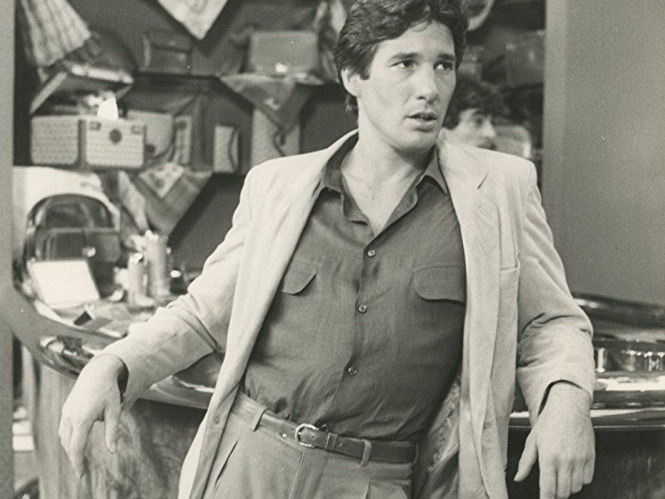 Despite the death of his partner in 1985, Armani continued to expand the business in the 80s and 90s, introducing new brands including Emporio Armani. More and more celebrities started becoming interested in his designs. 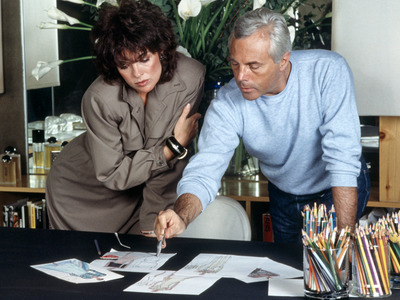 Getty ImagesArmani showing some sketches to American actress Linda Grey in 1983. Armani is known for his androgynous approach to fashion. 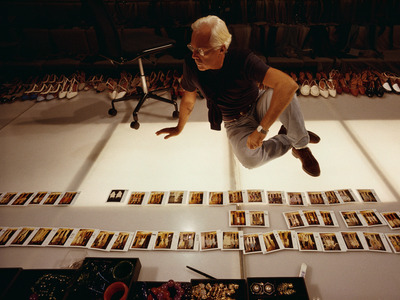 “I was the first to soften the image of men, and harden the image of women,” Armani once said of his brand. “I dressed men in women’s fabrics, and stole from men what women wanted and needed — the power suit,” he said. Getty ImagesA model wears an outfit by Giorgio Armani in 2004 in Milan, Italy. He brought softened, minimalist style to high-end menswear, according to Forbes. Getty ImagesModels at the Giorgio Armani show during Milan Men’s Fashion Week in January 2018. He’s also known for his haute couture evening gown designs for women, which have “made more than a few famous women feel like empresses on the red carpet,” according to Vogue. He launched Armani Hotels & Resorts in 2005, which operates luxury hotels in Dubai and Milan, Italy. In 2016, the Dubai location was named the most luxurious hotel in the world. 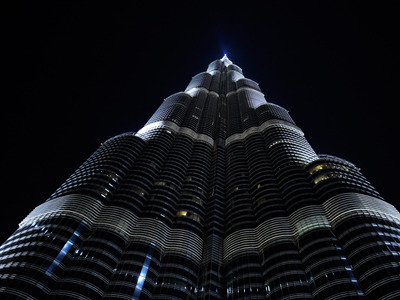 Armani Hotel Dubai is located in the Burj Khalifa, the tallest building in the world. The Armani Hotel includes a spa, a nightclub, three restaurants, and Armani retail stores. 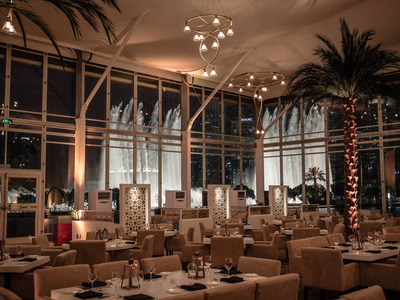 The hotel also hosts swanky fashion events, including the gala for the Vogue Fashion Dubai Experience in 2015. 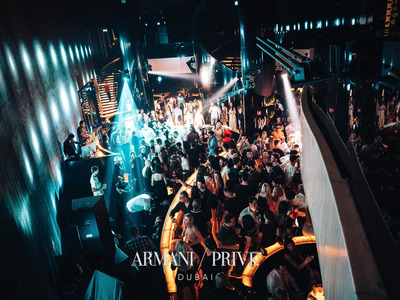 The hotel’s nightclub, Armani/Privé, is a stylish hotspot that stays open until 3:00 a.m. and “embodies the essence of the Armani brand,” according to the website. The cheapest rooms available to book at the hotel for November 2018 were $US680. 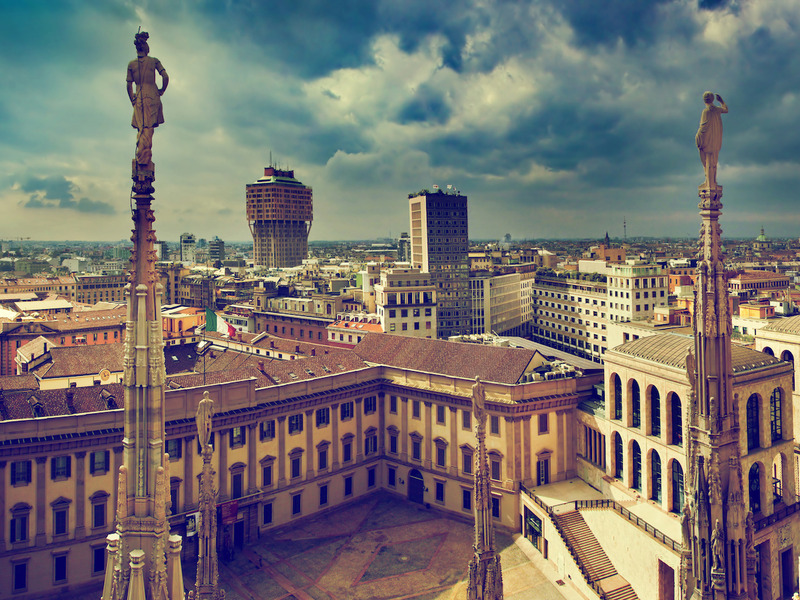 The Armani Hotel Milano opened in November 2011. Models, actors, and other celebrities attended the opening party, including Isabelle Huppert, Maggie Gyllenhaal, Peter Sarsgaard, and Jessica Alba. 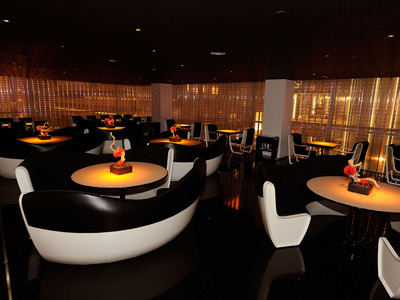 Armani operates restaurants around the world, including Armani/Ristorante on New York City’s 5th Avenue. 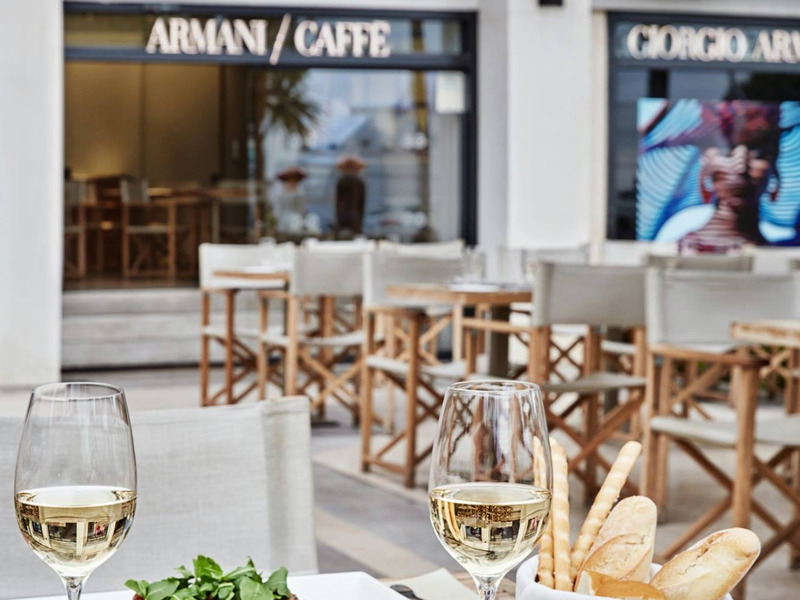 Armani’s empire extends to cafés in Cannes, France, Doha, Qatar, and other locations. He also a luxury furnishings and interior design brand, Armani Casa. Armani’s design skills extend to vehicles as well. 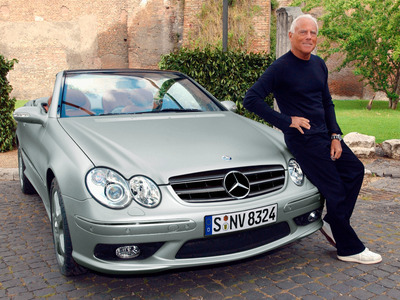 In 2003, he collaborated with Mercedes-Benz to design a sleek sports car, the Mercedes-Benz CLK. Only 100 of the cars were sold. Armani travels all around the world for fashion shows and other events relating to his brands. 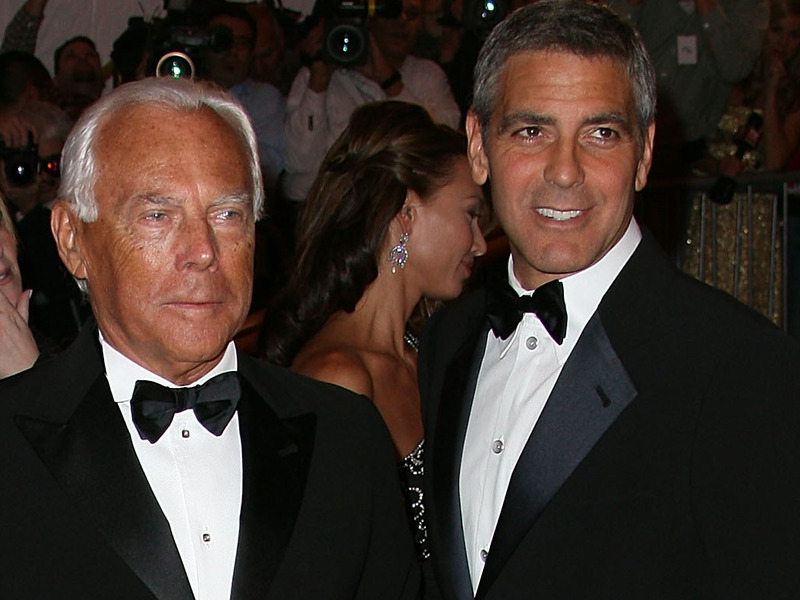 Armani sometimes travels via his private jet, on which George Clooney and David and Victoria Beckham reportedly once got a ride from LA to New York for the 2008 Met Gala. Getty ImagesArmani and Clooney at the 2008 Met Gala. 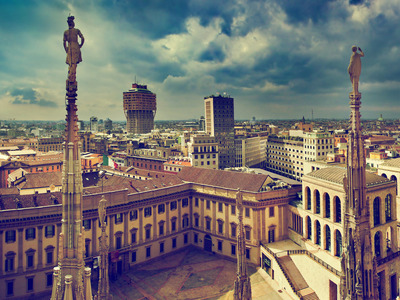 He’s often seen in Milan for fashion week and other events. 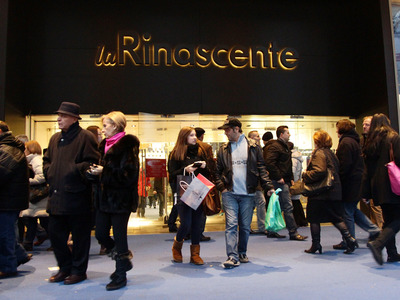 Getty ImagesArmani leaves the Rinascente Store during Vogue’s Fashion’s Night Out event in September 2009 in Milan. In March 2005, he travelled to Japan to attend a preview of the Giorgio Armani exhibition that displayed 30 years of his work, including original sketches and costumes. 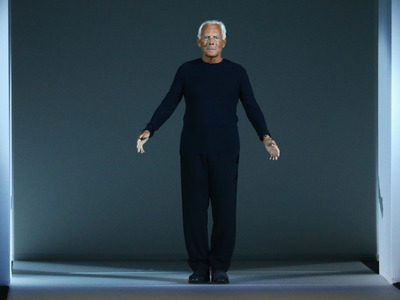 In 2015, Armani celebrated the 40th anniversary of his company. 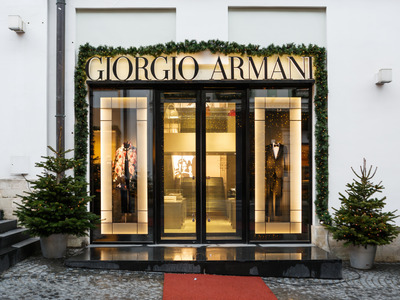 Armani has hundreds of stores all over the world as of 2018, from Italy to the US to China, Hong Kong, Taiwan, Singapore, Russia, and Morocco. Shutterstock/hurricanehankAn Armani store in Moscow, Russia, in 2017. Armani spends part of his $US8.8 billion fortune on private residences around the world, from Italy to Saint Tropez, France, to the Caribbean island of Antigua. One of Armani’s homes sit on the little-known Italian island of Pantelleria. 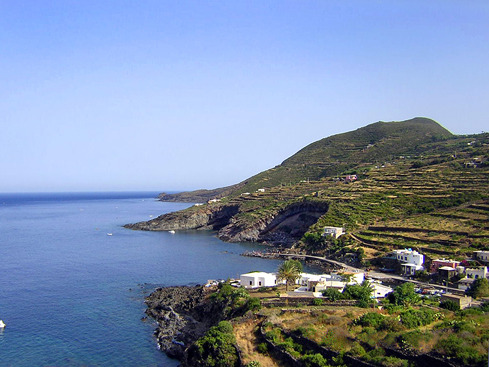 Armani’s Pantelleria estate, called Cala Gadir, includes seven houses with outdoor terraces, a pool, and a staff of 12 when he stays there. Wikimedia CommonsA view of Cala Gadir in 2010. 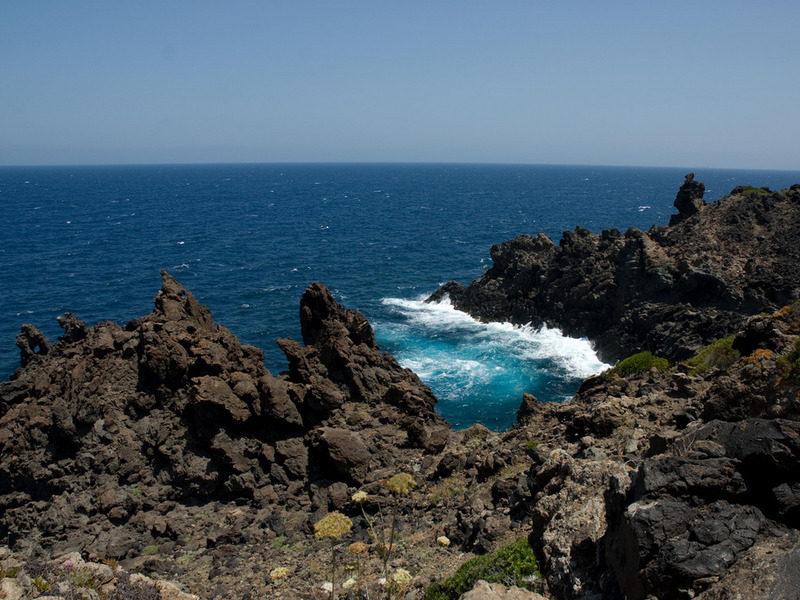 He bought the property on the northeast coast in 1979, three years after his first visit. 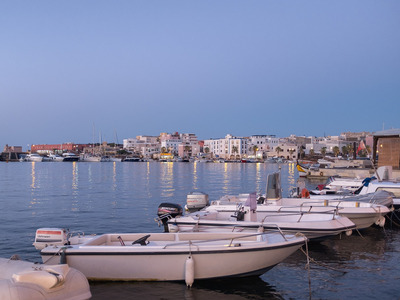 Armani reportedly spends six weeks each summer with friends sailing his yacht from Saint Tropez around Mediterranean islands that include Ibiza, Formentera, and Sardinia, and then ending up at Pantelleria. Armani’s jet-black 213-foot superyacht is called Main, built by Italian company Codecasa. 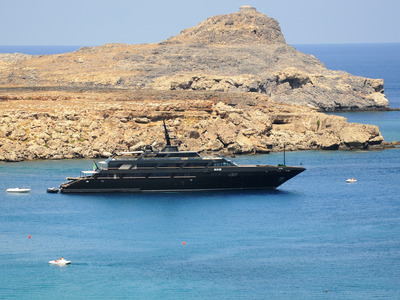 Shutterstock/Bulent DemirArmani’s yacht, Main, seen near Rhodes Island in Greece in July 2018. Armani reportedly designed the interior himself. Flickr/Davide SimonettiArmani’s yacht docked in Ortigia, Italy. 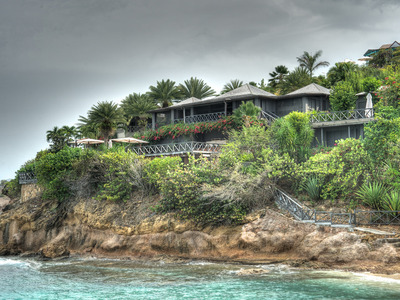 Armani also has a home on the Caribbean island of Antigua. 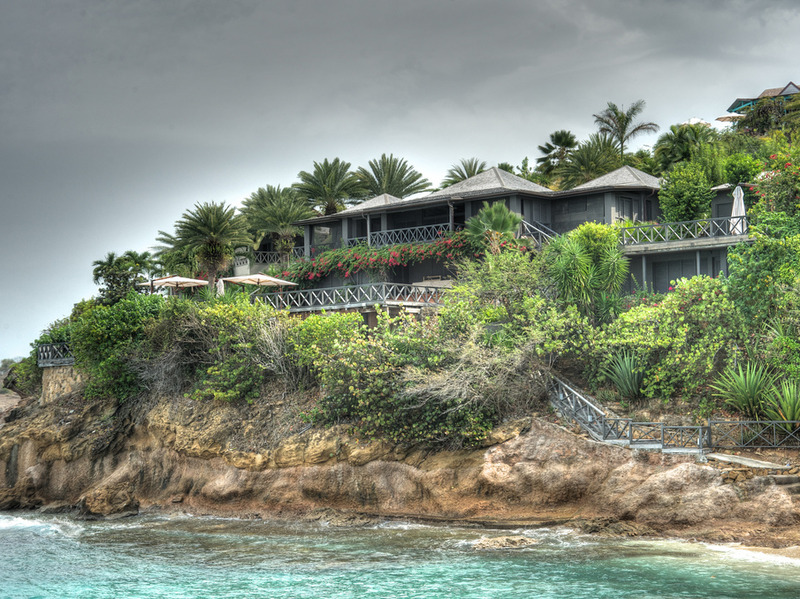 The house perches on a cliff overlooking Galley Bay on the west coast of the island. Flickr/Ed YourdonArmani’s house on the island of Antigua. 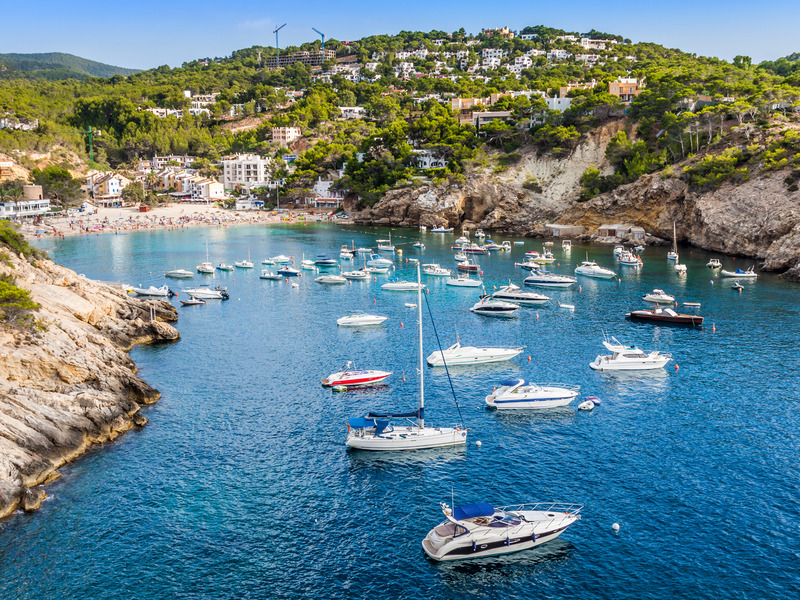 Armani certainly seems to enjoy sunny islands. 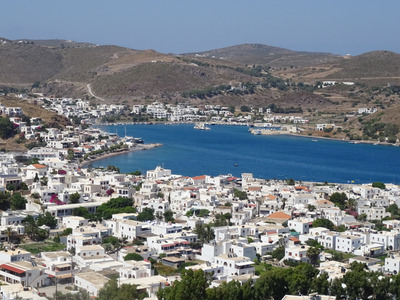 He’s reportedly a regular visitor to the Greek island of Patmos, which draws VIPs from all over the world because of its peacefulness, according to CNN. 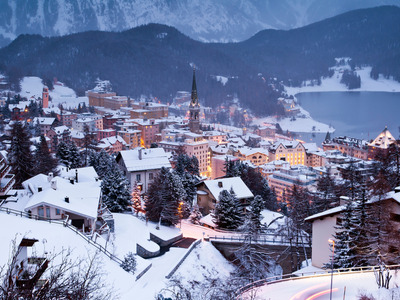 But he’s also rumoured to have a home in snowy St. Moritz, a secretive ski resort in the Swiss Alps where celebrities, billionaires, and royalty go to ski. 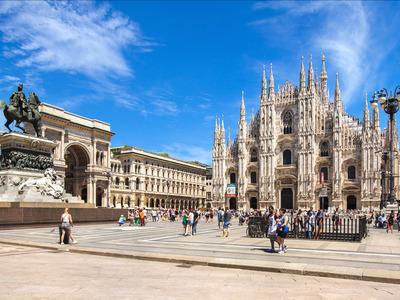 Another Italian locale where Armani spends much of his time is, of course, the country’s fashion capital of Milan. 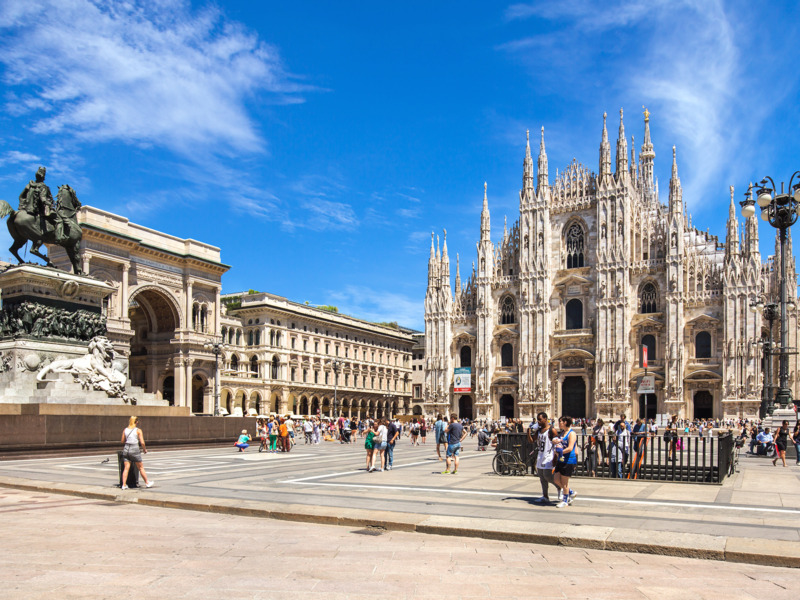 In September 2018, Armani held his Milan fashion show in an airport hangar. 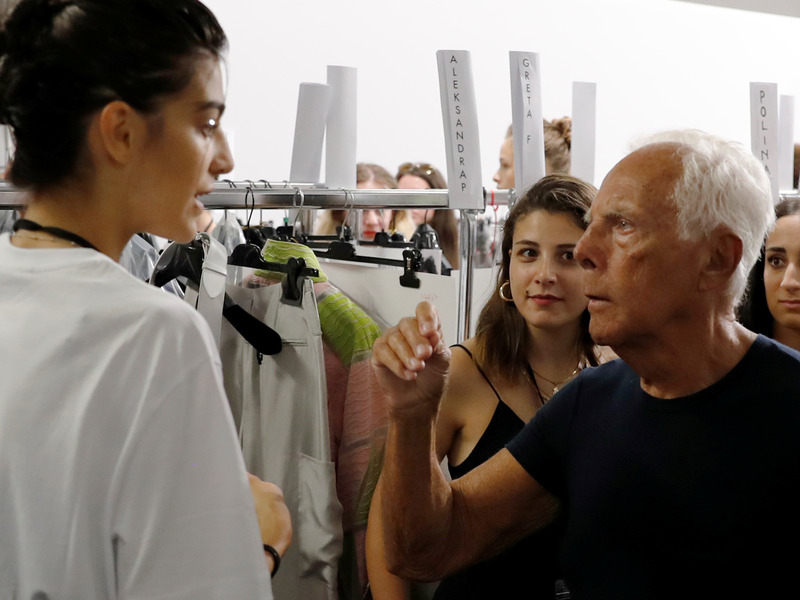 Getty ImagesArmani talks with a model before the Emporio Armani show at Linate Airport during Milan Fashion Week in Milan on September 20, 2018. 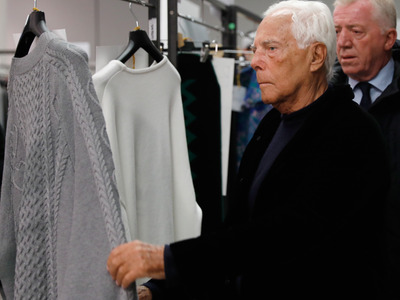 Thanks to his legendary status in fashion, Armani often rubs shoulders with celebrities and the elites of Hollywood, the fashion world, and sports. 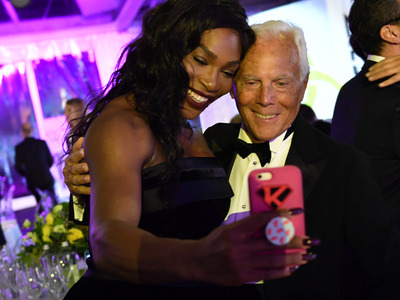 Getty ImagesSerena Williams and Armani at the Milano Gala Dinner in September 2016 in Milan, Italy. He walked the red carpet with actress Julia Roberts at the Met Gala in New York City in 2008. … and he is reportedly close friends with film director Martin Scorsese. 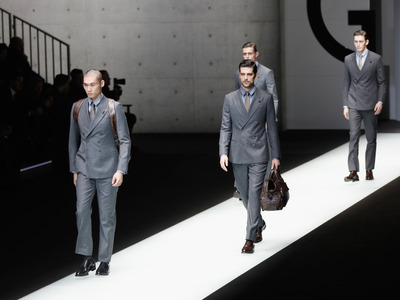 Armani has even mingled with world leaders. Then-French president Nicolas Sarkozy presented the fashion designer with the Legion of Honour in 2008. Armani said in 2015 that he had no plans to retire, saying he would continue to be the sole shareholder of his company while he is alive. 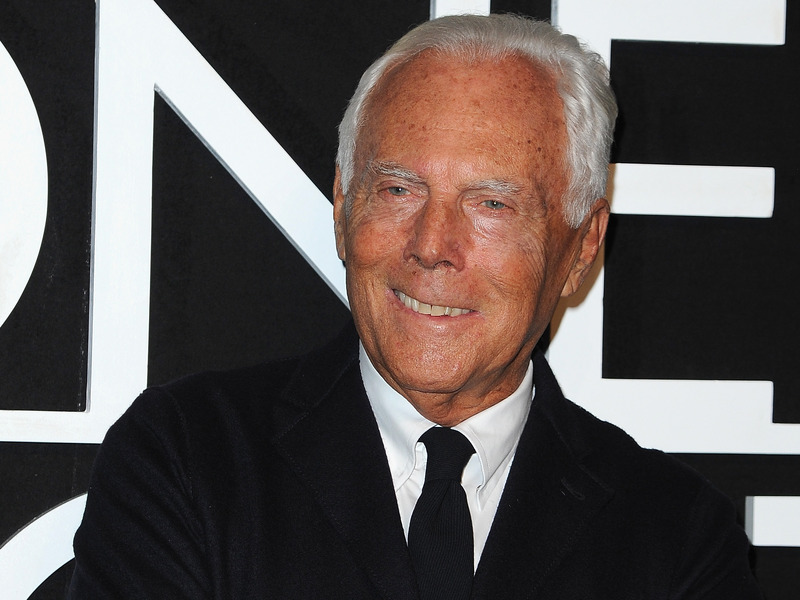 In 2016, however, Armani created a foundation in his name to safeguard his company’s future. In 2017, he discussed what a successor to his empire might look like in an interview on Italian TV. Yet, Armani has not definitively said who might replace him if he were ever to retire.